Home to historic mansions, fragrant gardens, scenic beaches and unique attractions, Mississippi is a beautiful state to explore on your weekend getaway. Our list includes unique hotels and inns in Jackson, Natchez, Oxford, Bay St. Louis and other beautiful places to visit in Mississippi. Head to the country where you can unwind surrounded by acres of land or visit a city offering a choice of museums, restaurants and entertainment on your Mississippi vacation. Located on 26 beautifully landscaped acres, Monmouth Historic Inn in Natchez offers rooms and suites decorated in an Antebellum-era style and is one of the best Mississippi vacations. Indulge in in-room massages on your weekend trip, and have fun outdoors fishing, bird watching and playing croquet. A stroll through the romantic gardens is not to be missed. The Great Front Lawn features oak and Magnolia trees, while The Courtyard showcases seasonal plants such as pansies, marigolds, Natchez white crape myrtles, and moss roses. There is also an herb garden behind the Gift Shop which grows herbs used in the restaurant kitchen, and mint for the hotel’s signature Mint Juleps. The Lions Head Fountain is covered with water lilies and surrounded by blooming flowers such as Jasmine and White Dogwood. The Monmouth Historic Inn rooms feature period furniture, cable flat screen TVs, free Wi-Fi, turn-down service, bottled water and ice service. If you are looking for places in Mississippi for a romantic getaway, rooms start at $195 per night, including a full Southern breakfast, a historical tour of the home and light evening hors d'oeuvres. The Oak Crest Mansion Inn in Pass Christian offers five beautiful suites, complete with private baths and gas fireplaces. 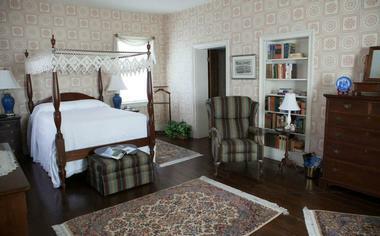 Each of the rooms features its own theme with period furnishings. The Inn offers twelve acres to explore, a chapel, a gazebo, manicured gardens and a pergola. Common spaces in the mansion provide sitting areas and places for guests to mingle or relax with a book. Savor a full breakfast in the elegant dining room, freshly made by the chefs at the mansion. You will find dining options for both lunch and dinner in the nearby town, including fine dining and more casual atmospheres. Nearby attractions and activities include beaches, boating, fishing and shopping. If you are looking for romantic, affordable places to visit in Mississippi, rates at this unique inn start at $125. The Devereaux Shields House in Natchez offers six rooms, all with a classic Victorian theme, that can sleep up to four people. The rooms feature private baths, luxury linens and seating areas, perfect for a romantic weekend trip. Some have fireplaces and spa-like bathtubs for additional pampering. Guests have access to a 24/7 fitness center, gardens and porches. Amenities include ice, fans, cable TV, movies, and concierge services. Start your mornings with personalized breakfasts in the dining room. Customized five course lunches and dinners for up to a party of twelve can be arranged upon request. Visit a range of historic sites, dining, nightlife, and go on horse-drawn carriage rides nearby. Rooms start at $135 per night. One of the Gulf Coast’s flagship beachfront hotels, The White House Hotel is a historic boutique hotel with a spectacular seaside location. Resting on Beach Boulevard with magnificent ocean views, the grand hotel is perfect for couples wanting to escape the hustle and bustle of the city and soak up a bit of luxury. Stylish guest suites feature contemporary décor in subtle tones, king-sized beds, en suite bathrooms with soaking tubs and walk-in showers, and spacious sitting areas with wet bars. Room amenities include flat screen televisions, in-room coffee machines, and wireless Internet, and other specialized services range from a personalized concierge service to unique honeymoon packages. Cora's Restaurant & Bar combines sumptuous gulf coast cuisine with well-seasoned steaks and an array of fine wines in an elegant setting, making for an excellent dining experience. The White House Hotel is within close proximity to the Keesler Airforce Base, MGM Baseball Park, and Coast Coliseum. The Barn Loft Bed and Breakfast at Willowdale Farm in Oxford provides guests with a private getaway with only one loft-style suite in the barn. The loft has two bedrooms, each with a queen bed, a living room area that has a sleeper sofa, a kitchen, and a large bathroom. Amenities include cable TV, Wi-Fi, washer and dryer and central heat. The garden is open to any guest who wishes to wander around the grounds or hike to the creek nearby. Freshly baked bread, muffins, juice, ocoffee and fruit are brought to the loft. Since the property is only a ten minute drive from the Oxford town square, other dining options are readily available for breakfast, lunch or dinner. Nightly rates start at $78 per person. With spacious guest suites measuring over 500 square feet in size, the Bay Town Inn Bed & Breakfast in Bay St Louis offers a luxurious place to spend your trip. 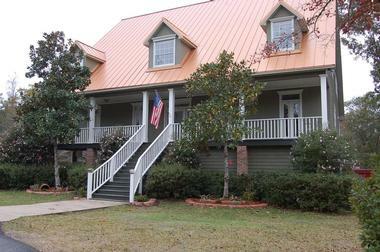 The inn is located next to the Bay St. Louis Marina, close to the Gulf Coast beaches. Each of the ten guest suites includes a living and kitchen area, a private bathroom, several sleeping options, 32 inch TVs, and complimentary Wi-Fi. Some rooms have a private deck or large windows that overlook the pool and peaceful scenery. The Inn has an outdoor pool that is easily accessible and free for all guests to use. A light continental breakfast is served in the morning on weekdays, while on weekends a full breakfast is delivered up to the suites. A variety of restaurants and shopping can be found within a short walk of the Inn, as well as two casinos and a beach. Rates start at $149 per night. 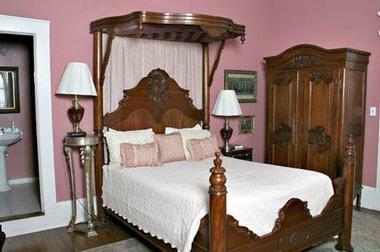 The The Fairview Inn in Jackson is a Colonial mansion with eighteen individually furnished guest rooms. Each room offers a different theme and some provide amenities such as Jacuzzi tubs, sitting areas, fireplaces, and entertainment systems. The Inn has a spa that provides manicures and pedicures, facials, massages, hair removal and reflexology. Guests are welcome to take a walk on the grounds, play a game of billiards, or relax in the gazebos on the rocking chairs or the hammock. The 1908 Provisions restaurant offers California inspired food that still maintains a Southern flavor for both brunch and dinner. The Library Lounge provides a place for guests to get refreshments from cocktails to bottled beer and fine wines. Rooms start at $179 per night. 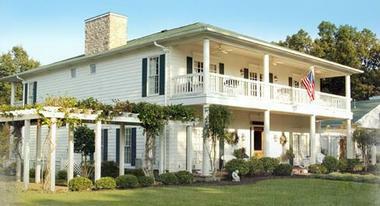 The Tux Creek Inn Bed and Breakfast in Biloxi provides a relaxing getaway on 40 beautiful, wooded acres. 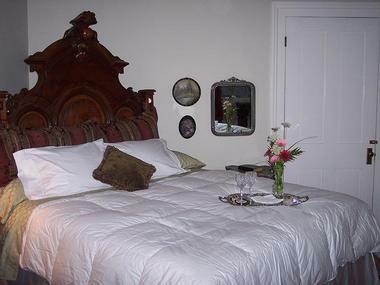 The Inn has five guest rooms, each with their own private bath and comfortable decor. Ask for a room with a fireplace for added romance. Relax with views of the Tuxachanie Creek, explore the walking trails, go creek fishing and relax next to the beautiful pond. The Inn provides breakfast and dinner for guests. The breakfast menu includes omelets, bacon, sausage, ham and pancakes while the dinner menu includes chicken fried steak, broiled fish, spaghetti and several other entrees. The Inn is just minutes away from the beaches, variety of museums, shopping and restaurants. Rooms start at $135 per night. The Clark House in Clarksdale is located on two acres of land next to the Sunflower River and provides a beautiful place for guests to stay. Each of the eight rooms has its own theme and private bath. The rooms also feature a desk, flat screen TV, free Wi-Fi and comfortable seating. The common areas of the house include a living room/parlor room, library and an upstairs sitting area. All of these areas are free for guests to use for relaxing, reading a book, or mingling with other guests. Guests are welcome to a continental breakfast each morning that consists of breads, seasonal fruit, cereal, and beverages. The refrigerator in the kitchen is also available for guests to store their snacks and beverages. Nearby, guests can find restaurants for lunch and dinner, or coffee shops for a different breakfast option. Rooms start at $100 per night. 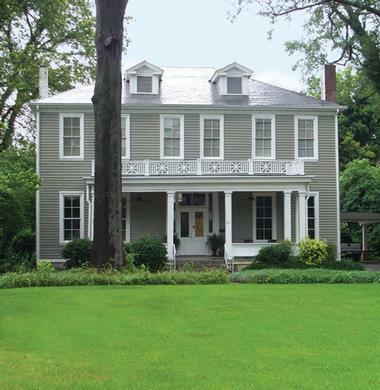 The Cartney-Hunt House is a historic bed and breakfast in a Federal style home built in 1828. All three rooms are comfortably furnished and provide a full bath with a dressing area. 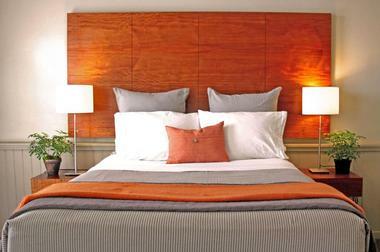 The rooms are equipped with flat screen TV’s, beverages, irons and ironing boards and Wi-Fi. Guests are welcome to relax in their private rooms or mingle with other guests in the sitting room. The Butler’s Pantry is also available for snacks and refreshments throughout the day. A full customized breakfast is served to guests in the dining room which can seat up to twelve. There are plenty of lunch and dinner options nearby to satisfy all your cravings. Guests can find an abundance of entertainment in town, including Mississippi University Women’s Theatre and music events, art galleries, gift shops, historical museums, as well as shopping centers. Rates start at $95 per night. The The Bonne Terre Country Inn & Cafe in Nesbit, 20 minutes by car from Memphis, is located on 23 wooded acres and offers fifteen guest rooms, each with its own theme and private bath with a whirlpool tub. The rooms have fine antiques and luxurious linens and many feature fireplaces and/or TVs as well as changing artwork to match the seasons. Guests can explore the beautiful lands that the inn is nestled on, including a lake and beaches in the shade. The Café Bonne Terre, open for breakfast and dinner, offers classic American style food with a Southern flair. The Glenfield Plantation Bed and Breakfast in Natchez is a historic Antebellum style home that is located on one hundred and fifty acres of beautiful grounds. There are five different rooms, each with its own theme, luxurious linens, and a private bath. Fireplaces, antiques, chairs, and beautiful views are just a few amenities to make guests feel even more comfortable during their stay. Explore the grounds, take a stroll through the beautiful flowers and trees and visit the Old Red Barn. There is a lovely parlor room with plenty of seating for the guests to relax in, enjoy a book, or mingle with the other guests. The dining room is where guests can have a fresh, full, Southern style breakfast each morning. 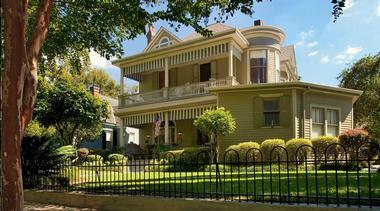 The Old Capitol Inn in downtown Jackson is a boutique hotel with three types of rooms. The most basic of the rooms provides a beautiful garden view and a large shower within a private bath, whereas the Jacuzzi suites feature a Jacuzzi and a separate living space along with a private bath and elegant décor. A rooftop garden is available for guests to sit and relax in, along with wireless internet and a fitness center next to the hotel. The hotel offers Sunroom lunches in the sunroom/courtyard Monday through Friday. The menu for this includes items such as shrimp and grits, Thai crunch chicken salad and Southern chicken fried steak. A self-guided walking tour of the historical Jackson, the State Capitol, the Governor’s Mansion, state fairgrounds and the Farmer’s Market are all located near the hotel. Rooms start at $99 per night. Shadowlawn Bed and Breakfast in Columbus is a romantic Antebellum style getaway with six individually decorated suites with 14 foot high ceilings and high quality bedding. 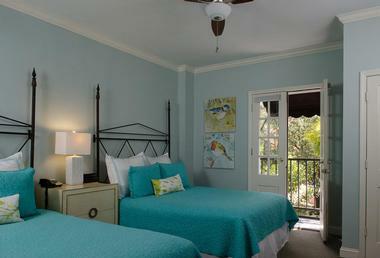 Guest rooms come fully furnished and include a security system, ceiling fans, and complimentary Wi-Fi. Guests can explore the public areas of the property, including a sitting room and the welcoming grounds the bed and breakfast is built on. The avid fitness guru will feel right at home in the fully equipped exercise room which includes a treadmill, stair stepper, weight bench and a rebounder. In the dining room, guests are treated to a lavish breakfast that they can customize in advance. Breakfast items include fruit parfait, apple crisp, strawberry soup, and breakfast kielbasa. Guests can also find fine dining to satisfy their cravings in the nearby area. Afterwards, take a stroll and explore art galleries, parks, nature areas and antique shops. Suites start at $140. The Inn on Whitworth in Brookhaven is the perfect spot to spend a night away. 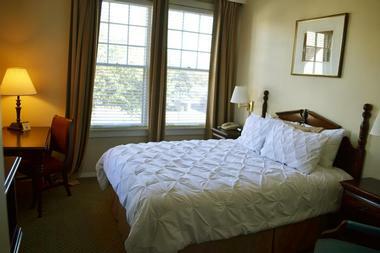 The Inn features fourteen luxuriou ssuites with private baths and historic charm with modern amenities. The Inn offers a lobby area for guests to relax in or mingle with other guests and an open kitchen for refreshments. Fine dining options are available within walking distance of the Inn along with local attractions including plenty of stores. Suites start at $124 per night. 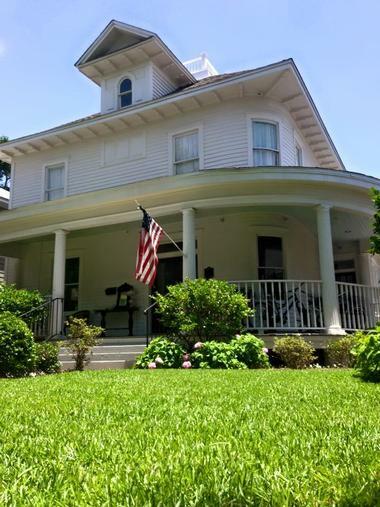 The Carroll House Bed and Breakfast in Bay St. Louis offers a tranquil escape along the shores of the Gulf of Mexico. With four beautifully themed and comfortable rooms, guests have the perfect spot to relax. 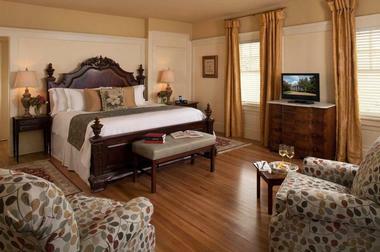 All of the rooms include private baths, luxurious linens, satellite TV and beautiful antique furniture. Guests can have a cup of coffee on their private porch or mingle with other guests in the parlor room. The Carroll House provides room service to guests throughout the day. Fine dining can be found just a short stroll into town along with art galleries, coffee shops, antique shops, and a beautiful beach. Rooms start at $120 per night. 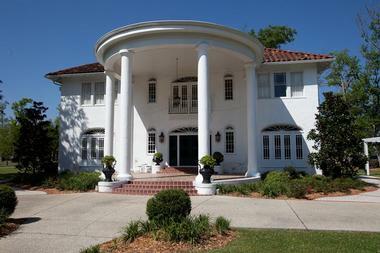 Chateau Blessey in Biloxi offers comfort and Southern hospitality with a French flair. All of the rooms are eloquently decorated and feature comfortable bedding, air conditioners, private baths, cable TV, and a coffee/tea maker. Within the building, guests can visit the library, play on an antique Steinway baby grand piano, and stay connected with friends and family via Wi-Fi. Chateau Blessey has large event rooms that are perfect for weddings or private parties for up to one hundred people. A full gourmet breakfast is served in the formal dining room daily. The food served from the breakfast menu includes traditional country style meats, fresh produce, farm fresh eggs and locally caught seafood. Nearby in town, guests can find other choices for fine dining, a casino and plenty of shops. Rates start at $200 per night on weekdays, from $250 on weekends. The Maple Terrace Inn in Kosciusko is listed on the National Historic Register that was restored in 2014. The Inn offers seven guest rooms across three buildings. The rooms all feature their own private bathrooms with claw foot tubs and showers, as well as cable TV, central heat and air conditioning, free Wi-Fi and fine antique furnishings. The Inn offers a patio space for guests along with a garden that has a bench swing and bicycle storage. Breakfast is served daily.The Inn is located near other dining options and restaurants as well providing plenty of choices for dining. Rooms start at $135 per night. Hotel Chester in Starkville is a boutique hotel filled with Southern charm and comfort that dates back to 1925. Guest rooms offer down-surround or hypo-allergenic pillows, comfortable linens and plush mattresses. The rooms have private baths, LED TVs with cable and free high speed Wi-Fi access. The Beer Garden Restaurant offers causal indoor and outdoor dining. The Beer Garden is the perfect place to sit back and relax with your favorite beer or wine while enjoying the company of your family, friends, or fellow guests. The restaurant offers various entrees such as shrimp scampi, herb stuffed chicken breast and house filet steaks. The hotel is located in the downtown district and offers plenty of entertainment nearby including parks, shopping centers and diverse dining options. Rooms start at $99 per night. The Cedar Grove Mansion Inn and Restaurant in Vicksburg is an Antebellum style estate with thirty three elegantly decorated rooms that are spread across three buildings. 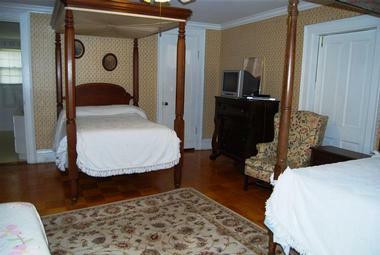 All of the rooms have their own Victorian style theme, complete with beautiful period style furniture. In the common areas, guests have access to wireless internet and a coffee service. Guests can also enjoy a swimming pool, mansion tours and a gift shop. The Vicksburg Restaurants located on the property offer classic Southern cuisine with a modern twist in three different settings. Rooms start at $135. The Natchez Grand Hotel and Suites is conveniently located in downtown Natchez. The hotel offers four different room types to provide the most comfortable stay. Each of the rooms includes a private bath, a flat screen TV, wireless and wired high speed internet, work desk and a coffee maker. Also available is a pool and a fitness center equipped with cardiovascular equipment and free weights. An American style continental breakfast is available in the morning in the large breakfast room. The hotel has a pub with comfortable sitting for guests to relax in with their favorite drink and mingle with the other guests. Being located in the downtown district, a wide variety of restaurants are located near the hotel for lunch and dinner options as well as entertainment. Rooms start at $98 per night. 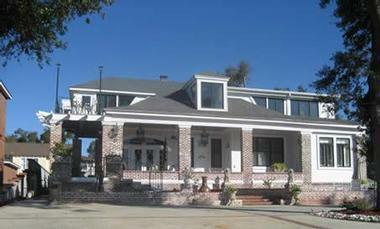 The Guest House Bed and Breakfast in Gulfport offers five guest rooms, each with their own private bath and unique décor. The rooms have remote light fireplaces, antique furnishings, 32-inch flat screen TVs, desks and free Wi-Fi. 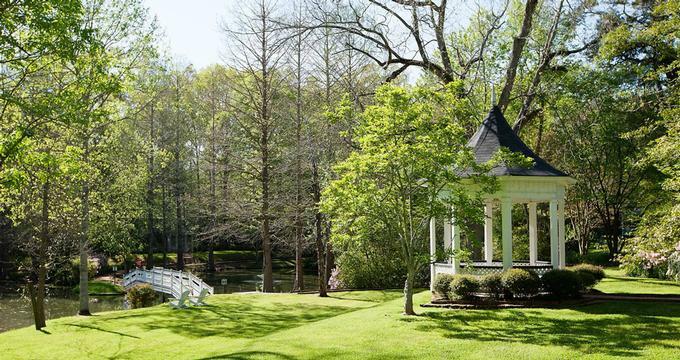 Common rooms and a beautiful wrap-around porch invite you to unwind in a peaceful setting. A tea party service is offered for birthdays which comes complete with dress up clothes and jewelry. Breakfast is served daily at flexible times for the late sleepers. The breakfast menu includes eggs in any style, pancakes, bacon, fresh blended yogurt, juice and coffee. Head to a nearby beach, go on island excursions, fishing tours, visit the Biloxi Lighthouse, or play a round of golf. Rooms start at $119. The Linden Antebellum Bed & Breakfast in Natchez is an Antebellum style bed and breakfast that makes for the perfect getaway on a seven acre serene setting. 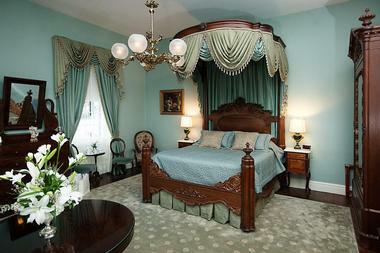 All six of the rooms feature their own themes that still maintain an antebellum aesthetic. The rooms offer private updated bathrooms that include hair dryers; luxurious linens, flat screen TVs with cable and free Wi-Fi. Guests are free to relax in the sitting rooms with fireplaces and use the rocking chairs on the porches. There is a beautiful garden that is perfect for taking a stroll and enjoying the sunshine. Guests receive a full course Southern style breakfast each morning in the formal dining room. Heed the call and make your next vacation an unforgettable adventure as you experience legendary Southern hospitality at first hand in Mississippi. Marvelous Mississippi has a lot of stories to tell; you can learn all about the Birth of the Blues as you take a trip down memory lane along the famous Mississippi Blues Trail. History lovers can relive the many desperate battles of the Civil War on a tour of the Mississippi Freedom Trail. Beach lovers can enjoy the holiday of a lifetime at several towns along the beautiful Gulf Islands National Seashore while hikers and bikers can take on the amazing 444 mile Natchez Trace Parkway. Located in Lafayette County in northern Mississippi, Oxford has developed a reputation for arts, culture and innovative cuisine. The city is home to the University of Mississippi which has a very beautiful and vibrant campus – guided college tours are available. At the heart of the city you will find the Historic Downtown Square, surrounded by beautiful old buildings which now house a great assortment of shops and restaurants. Art lovers can admire visual arts at several galleries both on and off the university campus while music lovers can listen to live music and concerts at the Lyric Theatre and browse through thousands of vinyls at the End Of All Music Record Store. Bookworms will be enchanted by no less than three amazing book stores. Dotted with beautifully preserved historic homes and churches, the city of Natchez is a great place to spend some time learning about Mississippi State and experiencing true southern hospitality. The city is set on the banks of the Mississippi River where you will find the Natchez National Historical Park – a Mecca for history and architecture enthusiasts who could spend days admiring the many antebellum mansions and other historic buildings. In addition to history the city also boasts a vibrant arts scene, many galleries and studios and wonderful boutique shopping. Outdoor recreational facilities include two golf courses, the Natchez State Part and Natchez Trace Parkway for hiking and biking and several lakes and waterways for boating and fishing. Oozing charm and genuine Southern hospitality, Bay St. Louis is an ideal getaway destination on the magical Mississippi Gulf Coast. Originally settled in 1699, the town is chock-full of history, legend, art and architecture which you can learn about on a self-guided walking (or cycling) tour of Old Town Bay St. Louis. A few of the highlights of the town include the stately Hancock Bank Building (oldest 2-story structure in the town), the Masonic Temple Building, the historic Train Depot and the Hancock County Courthouse. Several other historic buildings now house shops and boutiques and a walk down Depot Row is like stepping back in time. Bay St Louis beach is perfect for sunbathing and swimming for the whole family and scenic cruises and fishing charters are available. Scenically situated right on the edge of the beautiful Gulf of Mexico, the city of Gulfport is an ideal base for visitors wanting to explore the magnificent Mississippi Gulf Coast. Expect to find a laid-back holiday atmosphere, where one of the highlights of the week is the Wednesday Gulfport Harbor Famer’s Market. Must-see attractions include the Institute for Marine Mammal Studies, the Mississippi Coast Model Railroad Museum and the Lynn Meadows Discovery Center Children’s Museum. You can take a ferry to Ship Island for a delightful day on the beach and the chance to see dolphins at play. For a change of pace you can go walking or cycling in Jones Park or head to the casino to challenge Lady Luck. Centrally located Hattiesburg is a delightful city to include in your Mississippi vacation itinerary. The city offers a variety of activities and attractions for all ages including the African American Military History Museum, the Hattiesburg Historic Neighborhood and the Freedom Summer Trail for history lovers. Art lovers can visit the Lauren Rogers Museum of Art or attend a live show at one of several historic city theatres. There are several outdoor recreational areas where you can go walking, hiking and biking including the Desoto National Forest and Longleaf Trace. Families can have hours of fun at the Hattiesburg Zoo, the Grand Paradise Water Park and the Pep’s Point Water Park and Campground. Perfectly located in the heart of Mississippi, Jackson has everything you need for a relaxing and educational visit to the Deep South. In addition to three historic districts, the city offers history lovers the chance to learn all about Mississippi music and Civil Rights history as they explore the Mississippi Blues Trail and the Mississippi Freedom Trail. Families will have no trouble keeping younger visitors occupied – there are several unique museums to visit including the Mississippi Museum of Natural Science, the Mississippi Children’s Museum and the Mississippi Sports Hall of Fame and Museum. The city offers excellent shopping, dozens of restaurants where you can sample genuine southern fare and brilliant theatres, galleries and art museums for lovers of the Arts. Located in Madison County, the modern-day Town of Livingston has a remarkable history although the town you see today has only been in existence since 2006. Once a thriving city in the early 1800’s, the original Livingston was almost completely deserted after the Civil War but thanks to the foresight of the current owner of the town, and the regular Thursday Livingston Farmer’s Market, Livingston is becoming a popular tourist attraction. A variety of quaint shops have started trading and there are some great restaurants including the Farmer’s Table, and The County Seat. Don’t miss the delightfully old-fashioned Livingston Sweet Shop. If you are looking for a perfect beach destination for your next vacation you should consider making your way south to Biloxi, which is perfectly located along the splendid Gulf of Mexico. Everyone has a different image of their perfect beach holiday but Biloxi is one of those rare places that just have something for everyone; you can while away your days on a perfect white-sand beach, learn a new water sport like stand-up paddle-boarding or scuba diving, charter a deep-sea fishing excursion or play a few rounds of golf. For a change from sun and sea you can visit some of the city’s interesting museums or take join a Historical Walking Tour. Round off the perfect day by enjoying a fresh seafood dinner at one of the many excellent restaurants. 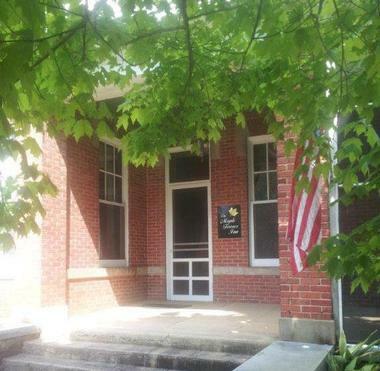 Located in Madison County, the city of Canton dates back to 1836 which means that there are plenty of interesting historic sites and buildings to explore. History enthusiasts can learn about the origins of the city at the Canton Museum of History and visit the beautiful Greek Revival Courthouse at Historic Square, the Multi-Cultural Museum and the Movie Museums. You can see it all at your own pace on a self-guided Historic Walking Tour or join a guided tour. For a break from all the historic sites you can pay a visit to the near-by Petrified Forest where you can explore a nature trail, small museum and gem-mining area. If you simply love the Blues you owe it to yourself to make a pilgrimage to amazing Clarksdale to explore the origins and significance of this remarkable genre of Mississippi music. Start at the Delta Blues Museum before moving next door to the Ground Zero Blues Club to hear local Blues musicians in action. History lovers can step back in time at the Hopson Plantation where you can catch a glimpse of historic plantation life - to really soak up the atmosphere you can spend a night at the Shack Up Inn – an original (slightly) renovated share cropper shack. Art lovers will also find plenty to admire in Clarksdale – visit the Carnegie Public Library Archaeology Collection, the Hambone Gallery and Lambfish Art Company. Nominated as one of America’s most endearing small towns to visit, Cleveland lies in the heart of the Mississippi Delta. The town is often referred to as the “Birthplace of the Blues” and is, along with Clarksdale, one of the best Delta towns to spend some time learning about the history and culture of the Deep South. You can visit Dockery Plantation to see where blues legend Charley Patton was born, tour the excellent GRAMMY Museum, take a drive along the Mississippi Blues Trail and the Mississippi Freedom Trail. Add a cultural element to your visit at the campus of Delta State University which is home to Hazel and Jimmy Saunders Sculpture Garden and the Bologna Performing Arts Center. Expect a warm southern welcome in Columbus, where a wide variety of enjoyable family attractions await you all year round. You can take a step back in time as you stroll through the city’s bustling Historic Downtown District which is full of historic buildings, boutique shops and restaurants. To be sure you make the most of your visit you can join an Art Walk Downtown or Historic Walk Downtown or one of several other informative tours including the Historic Homes Tour or African-American Heritage Tour. 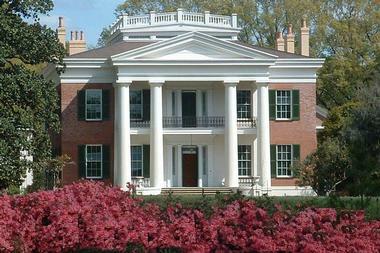 Museums to add to your itinerary include the Columbus War Museum and the Stephen D. Lee Home and Museum. Outdoor enthusiasts can enjoy hiking, cycling, boating and fishing at several parks and waterways. Located in the northeastern corner of the state, Corinth is often referred to as the “Gateway to Mississippi” and is a great place to start your exploration of the Deep South. You can learn about Mississippi history and culture at the Civil War Interpretive Center at the Shiloh National Military Park and at the Crossroads Museum, before moving on to admire the vibrant city art scene at the Corinth Artists’ Guild Gallery and Corinth Theatre-Arts. A stroll through the Downtown Corinth Historic District, which covers 31 acres of historic buildings, is a must for all history and architecture enthusiasts. Don’t miss the quirky Coke Museum to see authentic Coca Cola memorabilia. Come and experience a warm southern welcome and soak up the unique small-town atmosphere of Crystal Springs, located just a few minutes’ drive from Jackson. The city owes its existence to the natural mineral springs which provided abundant water for agricultural pursuits - you can join the locals in celebrating the origins and culture of the city by attending the annual Tomato Festival held in June. You can spend a few hours strolling through the historic Downtown district to admire many vintage buildings which are now home to and interesting mix of shops and restaurants. Music lovers can visit the Robert Johnson Blues Museum or venture a little further afield to explore the fascinating Mississippi Blues Trail. Located within the Jackson metropolitan district, the small town of Flora is an ideal base from which to explore the many attractions of the greater Jackson area. The city hosts several festivals each year including the Harvest Festival and the Calico Fair, both of which celebrate the city’s roots in agriculture. History and architecture enthusiasts will find several interesting historic homes to visit in the area including the Eudora Welty House, the Oaks House Museum and the Mississippi Governor’s Mansion. The close proximity of the city to the Barnett Reservoir provides easy access to a variety of outdoor activities including boating, fishing, camping, cycling and hiking. Mississippi’s Gulf Islands National Seashore is a dream vacation destination featuring 160 miles of pristine white-sand beaches, warm tropical waters, bays, islands and inlets, and the chance to do as much or as little as you like. You can learn about the unique ecosystems of the seashore by joining one of the ranger-led tours and programs, which include walks, hikes and snorkeling or kayaking excursions. The area is home to several campgrounds offering both primitive and developed campsites – step out of your RV directly onto the beach. When you need a break from water sports you can explore some of the seashores’ historic forts, go hiking and cycling or do some beach-combing. Nestled in a remote corner of northern Mississippi, Arkabutler Lake offers a veritable playground for outdoor enthusiasts and nature lovers. If you need a back-to-nature experience far from the bustle of the city, Arkabutler Lake is the ideal getaway. You can bring your tent or RV to one of three pristine serviced campgrounds or opt for primitive camping off the beaten track. Activities on the lake include canoeing, kayaking, sailing, pontoon boating and ski-boating. If you prefer to be a land-lubber you can enjoy a variety of hiking, walking and equestrian trails. Fishing, hunting and off-road adventures are also available at Lake Arkabutler. Featuring on USA Today’s list of best Southern Small Towns, New Albany is a charming destination for anyone exploring marvelous Mississippi. History lovers will find plenty to keep them busy in Historic Downtown New Albany before moving on to visit the Ingomar Indian Mounds (which date back to 100 BC) and the Union Country Heritage Museum. The town is the starting point of the 44 mile Tanglefoot trail for hikers and bikers and families will enjoy spending outdoor time in the Park Along the River New Albany Arboretum, which has a playground, pavilion and paved paths across the Tallahatchie River.Shopper will love the fine collection of boutique-style shops and galleries and downtown offers a wide range of restaurants and coffee shops. Boasting an award-winning main street and a substantial helping of southern charm, Ocean Springs is a must-visit destination on your Mississippi travel itinerary. Located on the fabulous Mississippi Gulf Coast, the city draws visitors who love sun, sea and snow-white sandy beaches together with a good helping of activities for rainy days. You can easily access the barrier islands, beaches and nature trails of the Gulf Islands National Seashore or stay local and soak up the sun on Front Beach. For a change from beach activities you can hike the Fontainebleau Nature Trail, visit the Walter Anderson Museum of Art and the Mississippi Vietnam Veterans Memorial or simply soak up the small town atmosphere on Main Street. Port Gibson is located along the Mississippi River in Claiborne County, where it is a popular stop for visitors who are exploring the famous Natchez Trace Parkway. History enthusiasts can learn all about the important role the city played in the Civil War by taking a walk or drive through the Grand Gulf Military Park. In contrast to many other Civil War towns, many of the historic sites in Port Gibson were spared from destruction because Ulysses Grant believed the town was “too beautiful to burn” - you can get information about all the local historic attractions at the Visitor’s Center. Highlights include the Windsor Ruins and the A K Shaifer House. Located on the famous Natchez Trace Parkway in Madison County, just 11 miles north of Jackson, Ridgeland is known for great outdoor activities combined with sophisticated shopping and dining. Cycling and mountain biking are particularly popular activities in Ridgeland – bring your bike along and spend some time enjoying the Natchez Trace Parkway, Ridgeland Trails and Brown’s Landing Mountain Bike Trails. The city is located close to the Barnett Reservoir where you can go sailing, camping, boating and fishing. Shopaholics can follow the Ridgeland Retail Trail to discover a wide variety of shopping opportunities and history lovers can take a drive to Jackson to visit the Mississippi State Capitol, the Mississippi Governor’s Mansion and several museums. Located close to the mighty Mississippi River in the northwestern corner of Mississippi, Tunica is a popular casino resort which also happens to have a vibrant restored historic downtown. Although most visitors come to flirt with Lady Luck at the casinos, Tunica also offers a variety of other attractions for non-gamblers including three golf courses, river boat rides on the Tunica Queen and the River Park complex which has a museum, interpretive center and an aquarium as well as nature trails and an observation deck overlooking the river. The Casino Factory Shoppes is an outlet mall where you can pick up some great bargains and antique hunters can enjoy exploring the attractive shops and boutiques in the Historic Downtown. Located in northeastern Mississippi, Tupelo’s main claim to fame is that Elvis “The King” Presley was born and raised in the city. In fact, his first guitar was purchased at the Tupelo Hardware company – the rest is history. Fans can learn all about Elvis’s early days by visiting his birthplace and museum, his Homecoming Statue and the Tupelo Hardware Company. Historians can visit a number of significant sites from the Civil War period including the Brice’s Crossroad National Battle Site and the Mississippi Final Stands Civil War Center. The Tupelo Automobile Museum showcases a fine collection of vintage cars and families can visit the Tupelo Buffalo Park and Zoo and the Healthworks! Kids Museum. Offering a good selection of historic and cultural attractions, Vicksburg offers visitors a great introduction to the South. Art lovers can start by strolling by the collection of Riverfront Mural in Levee Street before moving on to view the collections on display at the Attic Gallery and the H.C. Porter Gallery. History lovers can learn all about the pivotal role the city played in the Civil War at the Vicksburg National Military Park before exploring the Old Depot Museum, the Jacqueline House Museum and the Old Court House Museum. There are twelve fabulous historic homes which are open to the public for tours. Historic downtown Vicksburg is the place to go for shopping, dining and entertainment.